I took a trip to my local San Clemente Farmer’s Market today with my boys. I was hoping to be inspired to make something delicious for dinner. I don’t usually need much help coming up with something to make for a fall Sunday dinner, but it is still a little warm out for a big pot of soup or chili. I am seriously ready for some cool fall weather! So..after perusing the veggies and fruits and letting my boys have a honey stick, we came home with some fresh gnocchi from a local pasta company and some green beans, zucchini, tomatoes and herbs. Once I got home, my little package of gnocchi actually looked kinda small for our hungry family of four (it was 8 ounces, and we usually eat close to a pound of pasta). Luckily I had a ton of veggies so I ended up with a nice platter of food. 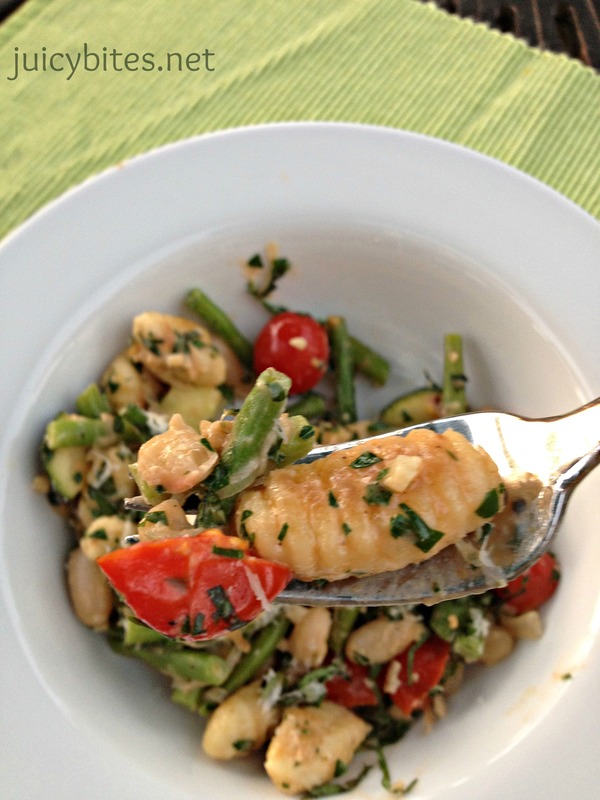 I also threw in a can of cannellini beans that I found in the pantry to add a little protein. This dinner was a hit with the Hubs and the mini food critics. 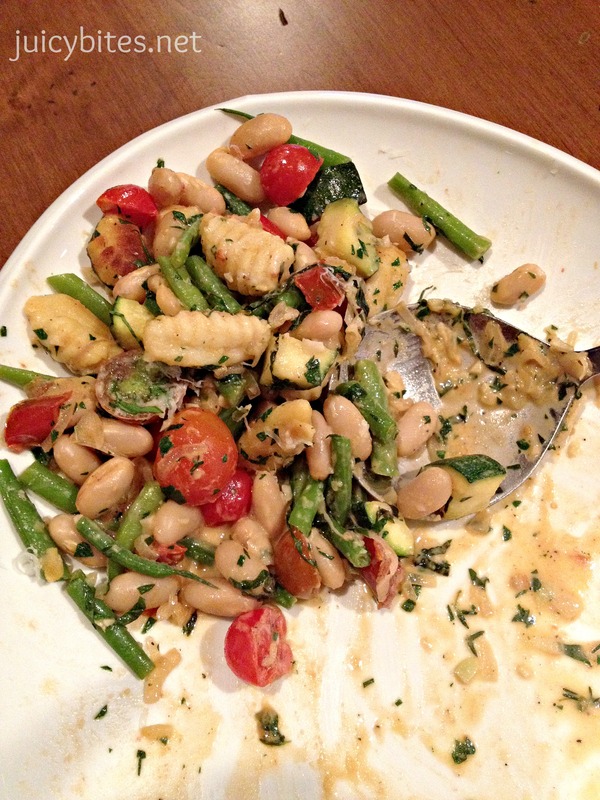 There were a couple of groans about the green beans from my youngest, but overall he liked it. I blanched the green beans (put them in boiling salted water for just a few minutes, then into an ice bath to stop the cooking). I sauteed some shallots, garlic, and the zucchini in a little butter and olive oil. One of the benefits of this warm weather that is lingering far too long for my taste is that we still have lovely tomatoes available at the farmer’s market. 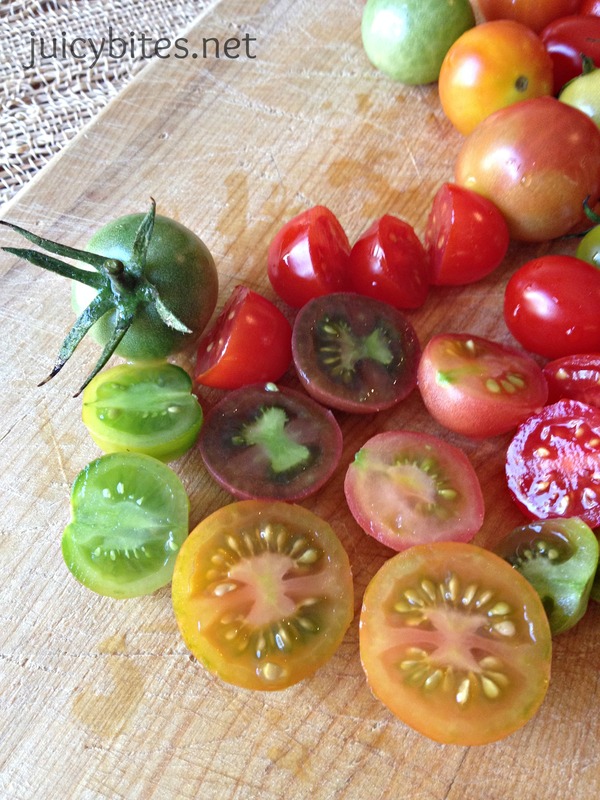 Our garden tomato plants are done for the season…but I can still enjoy the fruits of somebody else’s labor! This meal comes together really quickly once you have done your prep work. 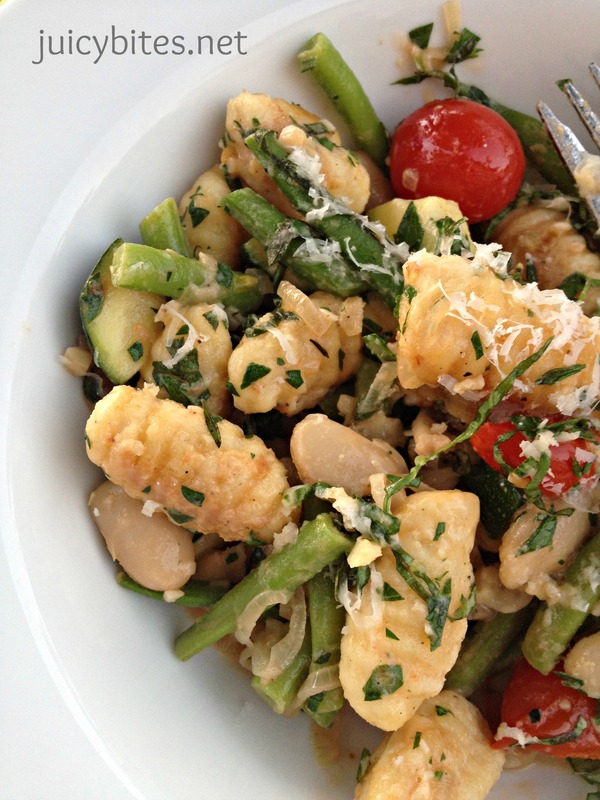 Make sure you have all of your veggies and herbs prepped and ready before you start cooking your gnocchi. 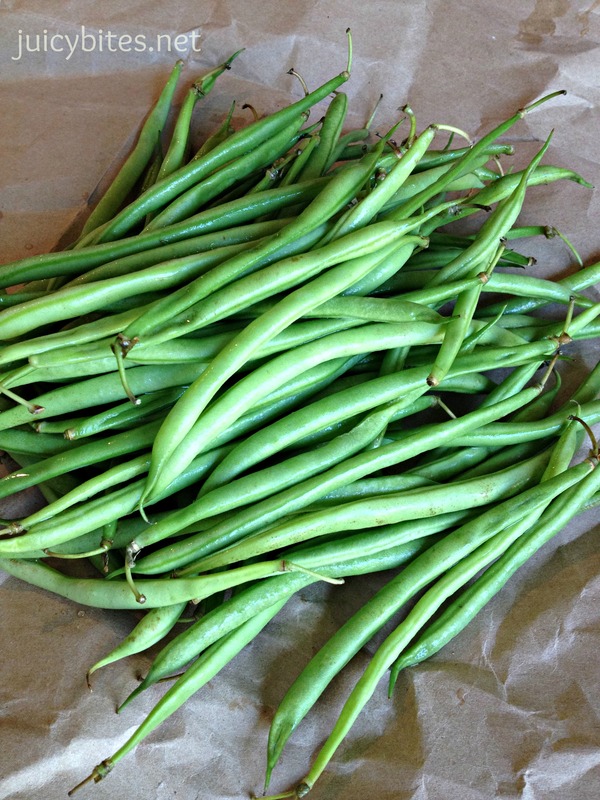 First you will need to blanch your green beans in boiling water for just a few minutes or until crisp tender. Put them in an ice bath the stop the cooking and keep their bright green color, then drain and set aside. Next…heat a large pot of salted water to boiling and cook your gnocchi for about 2-3 minutes or until it floats to the top (you will need to cook longer if it is not fresh). Once the gnocchi is done, remove them from the water with a slotted spoon onto a plate covered with paper towels so they dry a bit. Meanwhile, heat a large non-stick skillet with the olive oil and butter and add the shallots. Cook them for about 5 minutes then add the garlic and cook for a couple minutes longer. 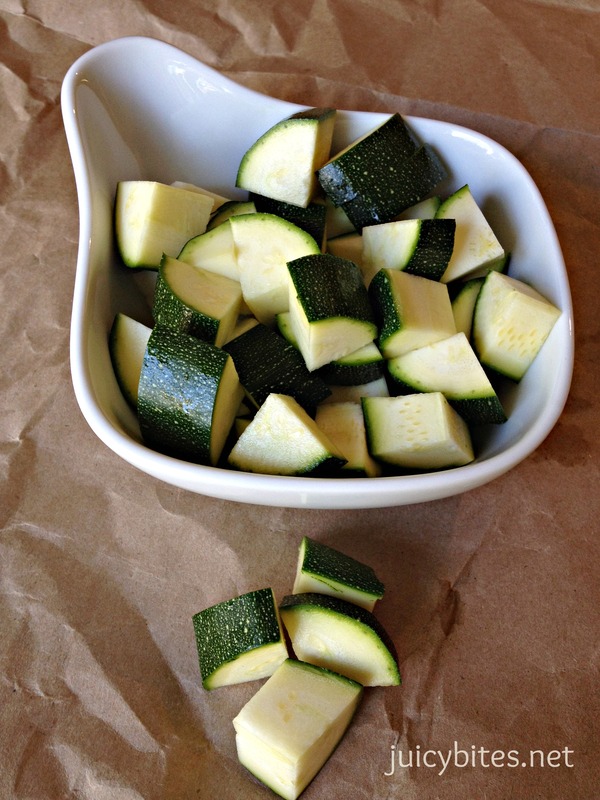 Next add the zucchini, season with salt and pepper, and cook for about 3 minutes. Then add the blanched green beans, tomatoes, cannellini beans, gnocchi and thyme, season again and cook for a couple minutes more so the tomatoes soften a bit and the gnocchi is heated through. 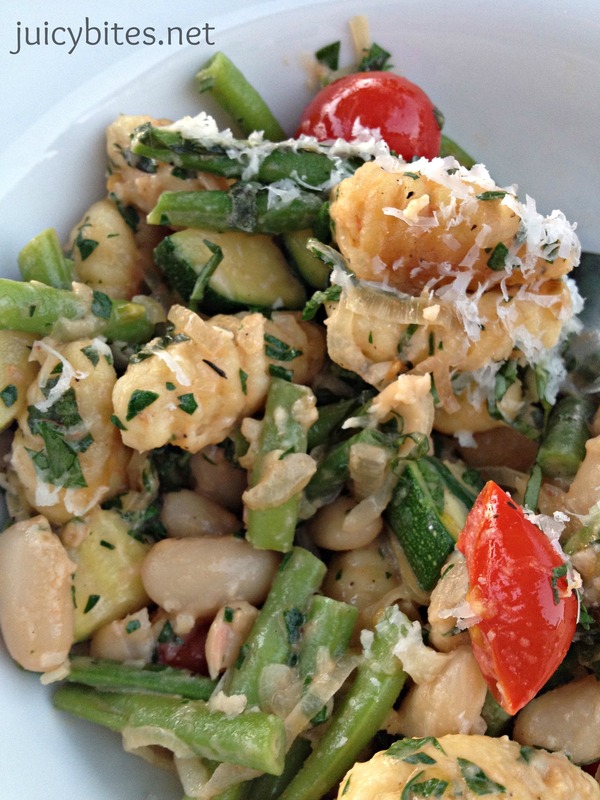 Add the half and half and mix well to coat all of the veggies and gnocchi. 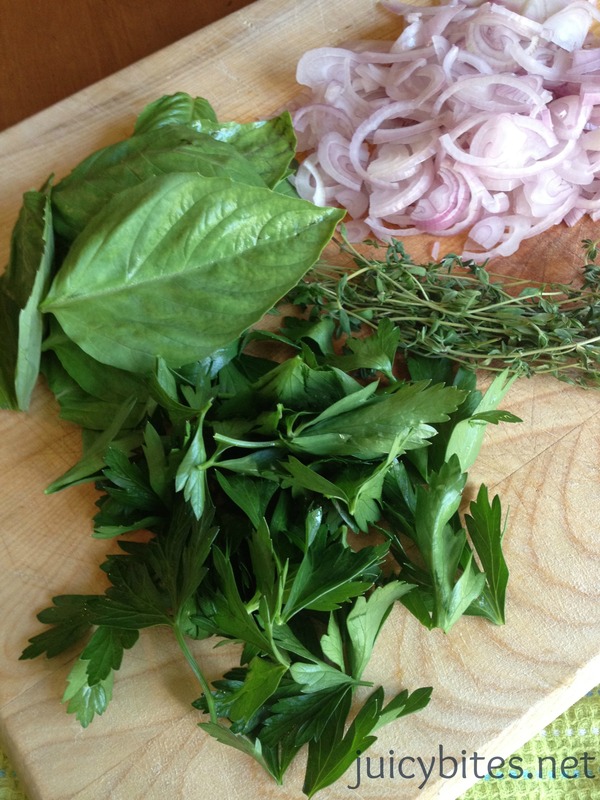 Turn off the heat and mix in the fresh parsley and basil. Add more salt and pepper if it needs it (you will need more salt than you think in this dish). Top with plenty of fresh grated cheese and serve. Yum! This meal looks and sounds like heaven..artisanal pasta loaded with beautiful fresh farmers market veggies – what could be better? Happy it was a hit! Very simple … and very good. Thanks, Alberto! So happy to get your comment because it helped me to find your blog. I LOVE Italian Food and now I have a place to find recipes for some AUTHENTIC Italian dishes!